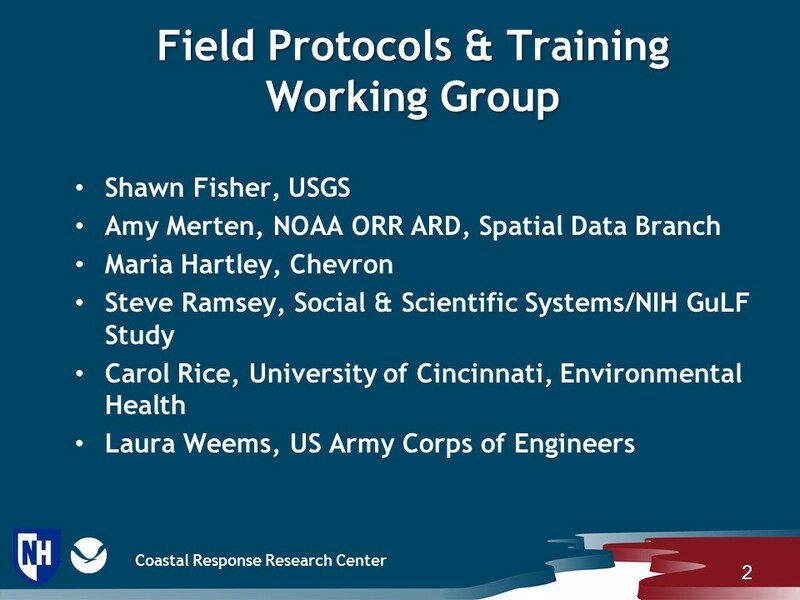 In response to Hurricanes Harvey and Irma, CRRC reconvened one of the Environmental Disaster Data Management (EDDM) Working Groups​ to quickly identify the environmental sampling tools that can be used by researchers in the post-hurricane setting. The EDDM Working Groups provided information and data services that improved the quality and speed of decision making in response to environmental disasters. 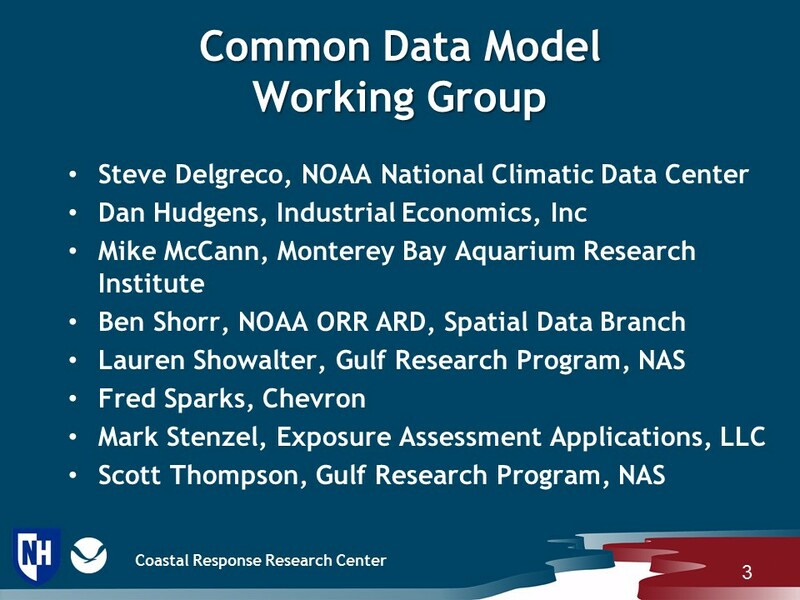 The Working Groups, organized by CRRC, consists of scientists and researchers, industry, non-governmental organizations (NGOs), federal and state agencies, data managers, data collectors, and data retrieval personnel. The list of environmental sampling tools that can be used in response to a hurricane is posted on the U.S. Health and Human Services National Library of Medicine Disaster Lit®website. The overall goal of the working groups will be to provide information and data services that improve the quality and speed of decision-making in response to environmental disasters. 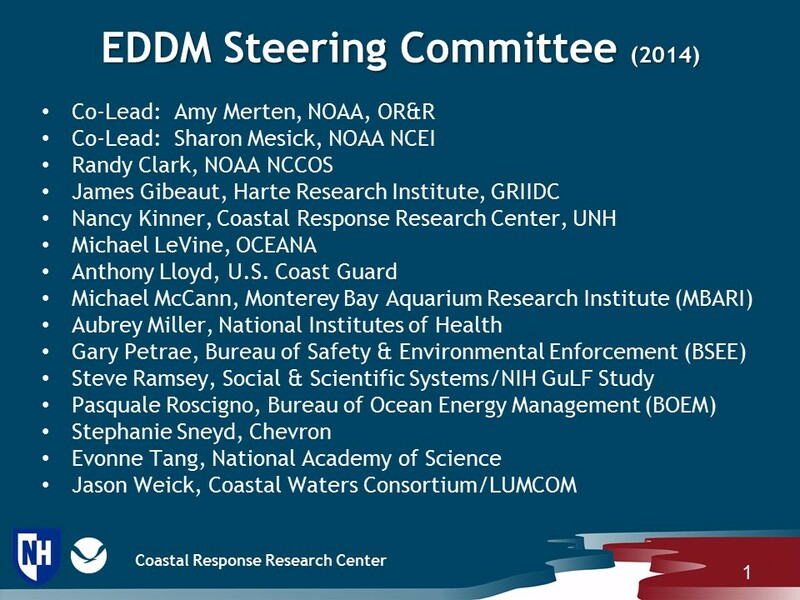 The EDDM Working Groups are being coordinated by the UNH Coastal Response Research Center (CRRC), NOAA’s National Coastal Data Development Center (Sharon Mesick), and NOAA’s Office of Response and Restoration (Amy Merten). In the wake of the Deepwater Horizon oil spill, a flood of data and new research has highlighted the need for improved coordination of data management for environmental applications. It is common for multiple entities (NGOs, academia, federal & state agencies) to collect data to characterize environmental effects of an incident which can vary significantly in data quality objective, collection methods, data management and access. These differences in data management result in limitations for use of the data including comparing results, expanding the range of data, or making inferences. 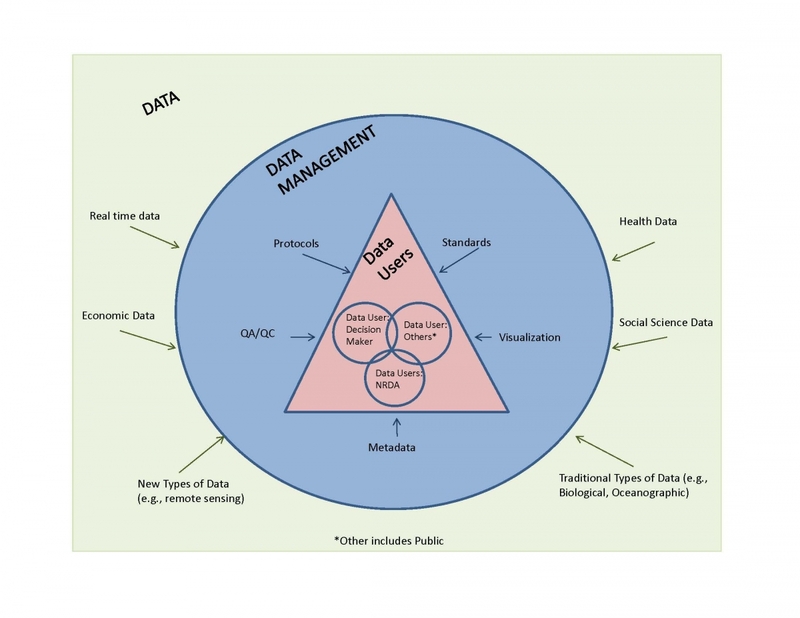 Engage the community of data users, data managers, and data collectors to foster a culture of applying consistent terms and concepts, data flow, and quality assurance and control. Provide oversight in the establishment and integration of foundational, baseline data collected prior to an environmental event and that is based on user requirements. Provide best-practice guidance for data and metadata management. Suggest infrastructure design elements to facilitate quick and efficient search, discover, and retrieval of data. Define the characteristics of a “gold standard” data management plan for appropriate data sampling, formatting, reliability, and retrieveability. 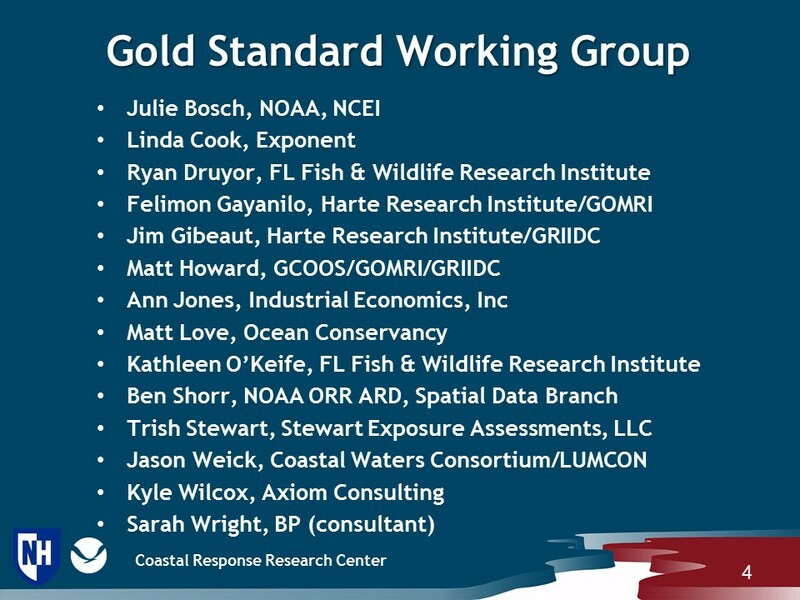 Participants include scientists & researchers, industry, NGOs, federal & state agencies, data managers, data collectors, and data retrieval personnel.